Breezy Point Import Auto Repair in Stratford. We pride ourselves in being able to assist you with all of your auto service and repair needs. 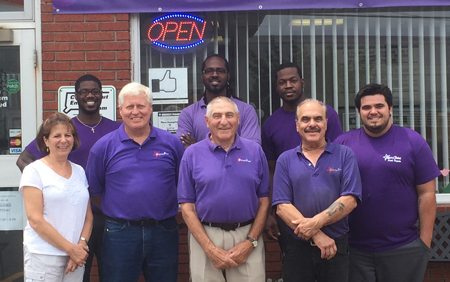 We pride ourselves on offering the residents of Stratford the best in Toyota Service. Our auto repair shop offers everything from complex mechanical solutions to basic maintenance services. We offer first-class service in every aspect of Toyota Repair. Whether you are from Stratford, or just passing through, stop by our auto repair shop to see what we can do for your Toyota. Lexus models can require specialized skills to repair. Focusing on quality and attention to detail, our qualified staff has hands on experience with the full range of Lexus Repairs and Maintenance. Here at Breezy Point, we offer expert Honda care, friendly service, and substantial savings compared to the dealership. We've seen just about every Honda Repair issue and can confidently recommend the right repair every time. Our Nissan Repair experts are qualified to perform a full range of diagnostic, repair, and maintenance services for your Nissan, to ensure it endures the miles. "Exceptional! App't was for early morning. The mechanic.."
"The quality of work is as good if not better.."
"That I have been pleased with their service and the.."
"I trust them to do a great job every time..."
"Fair, Honest and service oriented." "I wouldn't have my vehicle serviced any where but Breezy.."
"I was satisfied with the repairs performed and the time.."
"I was very satisfied with the work done on myb2006.."
"I would recommend Breezy Point highly to anyone in need.."
"Gary and his team are honest and professional. I highly recommend them." "Exceptional customer service. Expert workmanship and quality." "Competent group, courteous and always very helpful when I need.."
"I would and do recommend having their car serviced at.."
"IT'S EXCELLENT AND I WOULDN'T CONSIDER GOING ANYWHERE ELSE." "Very Knowledgeable and customer friendly service"
"very through and helpful...keep looking until they found the problem"